Kickstart your fun fitness training today! Blending traditional Muay Thai Kickboxing skills with strength and conditioning circuit style training. The perfect class for the participant who is looking to get fit, burn fat plus learn proper skills all in a fun and friendly environment. OUR REVERSE CYCLE FULLY AIR-CONDITIONED DOJO IS OPEN 6 DAYS PER WEEK! 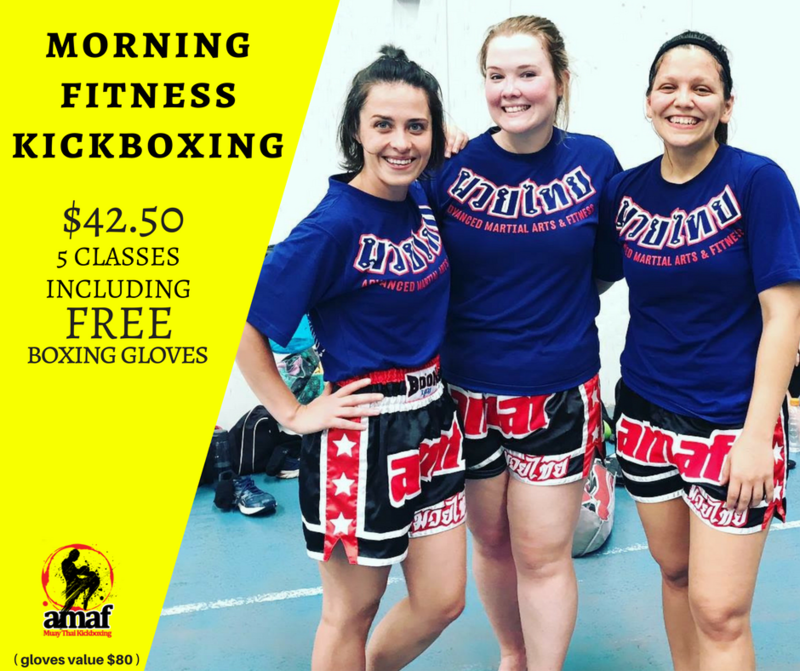 $42.50 for the first 5 classes including FREE boxing gloves! We have Lunchtime and Evening classes too!